I have been privy to a few conversations around the topic of career progression lately. Maybe it is the time of year. It is almost time for performance reviews. People with full time jobs are probably wondering if they are getting a raise and how much that will be. And also if they will get bequeathed with a shiny new title. Something that will really let the others know who’s who around there. Careers are important to people. Or more specifically, the question of where do I go from here is important to people. Last week I touched on what I think it means to be a Senior technologist. This week I want to talk about what a career ladder is for people that work in technology. If you are working at a software company and the topic of careers comes up, chances are you are talking about an organizational chart. These diagrams are like a city map for a company. They show each of the different roles that exist, and how many of each there are. They show probably a little too explicitly who is at the bottom and who is at the top. Questions about your career or your future lead back to the chart. You start at one corner and have the option to zig zag way to other boxes on the chart. If you are a junior tester, you can work your way up to staff tester, and then senior, and then lead, and then manager. Or, you can do a shimmy to the side and become a programmer. Draw a path and follow it. 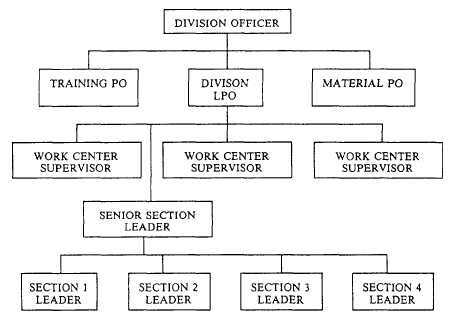 When you are talking about careers at a company, you are talking about control structures. The real question is what are the opportunities that the company is willing to reveal to you. I have a hard time with questions about personal careers because they are shaped by the organizational chart. It’s like they get imprinted on peoples brain. I have a slightly different take on careers. My interpretation is that a career is the sum total of everything I do. And, it’s entirely up to me to define that, not the company I am working for. My career started in construction. I was working at a hospital building network infrastructure — pulling cable, setting up server rooms and whatnot — while they were building new units. From there I did some desktop support, moved to a company and did contract programming. After that came software testing, and then jumping into the abyss of independent and freelance work. The career ladder got harder to define when I went independent. I’ve done some writing, some test automation work, a touch of consulting and a dash of training. There wasn’t a map saying “you are here” and pointing out one or two directions of where to go next. There were opportunities that I could have said yes or no to. Careers when you work at a company are ambiguous but wearing a mask of certainty. They give the impression that if you read these books, take these classes or certifications, and make friends with those people that you are guaranteed a spot on the next step. Unfortunately, that isn’t how things work. After about 2008 most of the companies I worked at had near continuous hiring and raise freezes. Emails would go out letting us know that there would be no raises or promotions this year. Inevitably, someone would get a raise and someone would get promoted. I’ve talked about how unhelpful I think talking about a career is with the company you work for, but I want to leave you with something more certain. A career is what you make it. Your employer isn’t in charge of it, and it isn’t represented by an organizational chart. I like ambiguity and pressure, so I busted the career bag open by going independent. What do you want your career to look like, really?